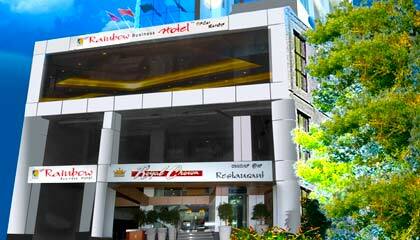 New Rainbow Business Hotel is located in the heart of the city. New Rainbow Business Hotel, formerly known as Hotel Algate, is positioned in the heart of business district of Bangalore. Enjoying close proximity to major entertainment and shopping hub of the city, the hotel features a fine architecture with graceful interiors and the same grace can be seen in its soothing ambiance. It stands apart from others for providing excellent hospitality, premium facilities, and flawless services at reasonable prices. 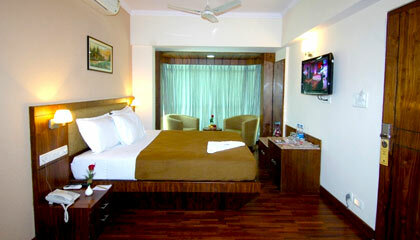 Its tastefully appointed rooms are stuffed with up-to-date amenities to make each stay comfortable and pleasant. Attentive and friendly staff offer quality services and takes care of every small requirement of the discerning guests. The hotel also comprises a seminar hall for organizing business events or social get-togethers. 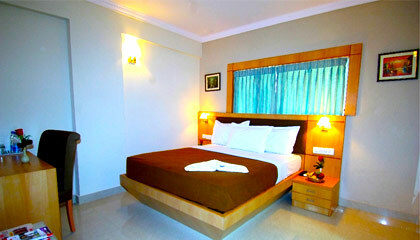 To sum up, New Rainbow Business Hotel offers comfy accommodation at an irresistible tariff. 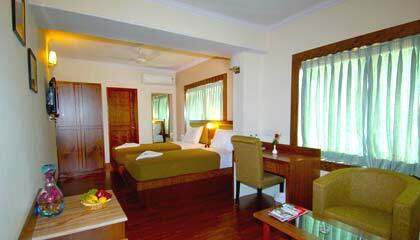 The hotel offers 24 delightfully adorned rooms, classified into Standard Rooms, Deluxe Rooms, Executive Rooms, and Junior Suite. 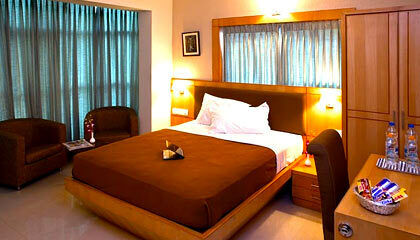 All rooms are equipped with modern amenities required for a pleasurable stay. Royal Crown: A canopy-type multi-cuisine restaurant serving delicious dishes. The Crown Cafe: Enjoy a range of appetizing snacks along with hot beverages.